One of the first things to nail down when you’re newly engaged is the venue. There’s so much to consider and so many options. A trend I’m enjoying is having an art gallery wedding – very hip, very modern, very sleek. When we were getting married I had a quandary: what to do about the ‘British contingency’. I have so many friends and family in the UK, yet we were getting married in Washington, DC – how to include them? In the end we decided to have a party in London shortly after our wedding. We felt it would be a lot more pressure otherwise – a one-shot deal across the sea and far away. WIth a London soiree, we could celebrate with the people in the UK who meant the most to me – and they could meet my husband. After flailing around for a venue for a while I hit upon the Whitechapel Art Gallery. It’s got a wonderful history – and is under ten minutes walk from where mum grew up in London, where she still has a flat. The Gallery was “founded in 1901 to ‘bring great art to the people of the East End of London’, the Whitechapel Gallery occupies a distinctive arts and crafts building designed by Charles Harrison Townsend.” The Gallery is still does a lot of art education and outreach. 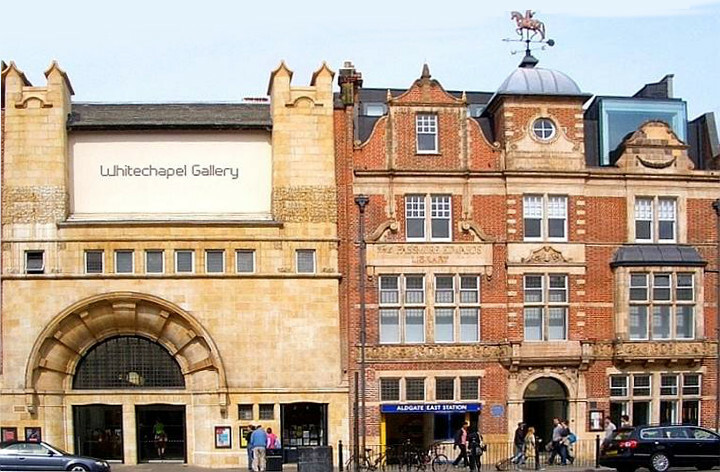 The Whitechapel Gallery has always been avant guarde and held a seminal place in the London’s art landscape – it exhibited Picasso’s Guernica in 1939 during the Spanish Civil war and hosted the first major British show of Jackson Pollock. We had a fantastic party there – my wonderful in-laws even came over and were able to meet ‘the British contingency’. It was entirely the right decision to have a separate party in the UK and the Whitechapel Gallery Fit the bill brilliantly. What’s your wedding or special occasion venue vibe – are you more gallery or hotel, more beach or ball? Let me help you carry that vibe through to your invitations and stationery.